You generated a chart to graphically depict your company’s sales data, but now, to better suit your needs, you want to alter some of the chart’s elements, such as the number format used on the vertical axis and possibly the chart’s background. In this learning module “ Excel: Edit chart“, you will be shown how to edit various chart elements and some thing to consider when doing so. Use excel to edit chart: HOW DOES IT WORK? 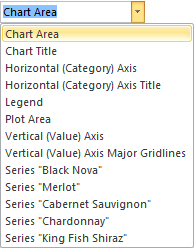 To format the vertical axis, click the button in the Current Selection group. 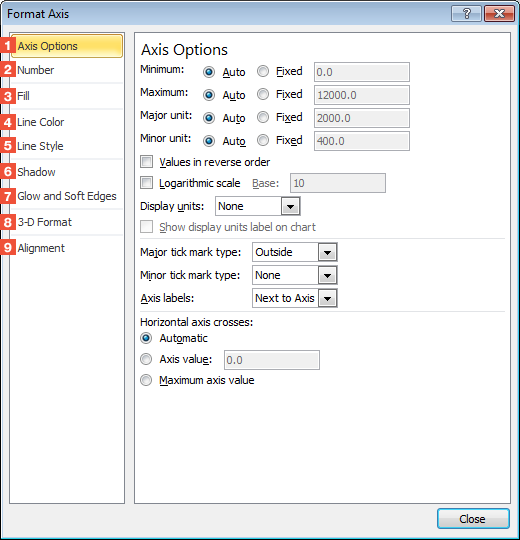 Axis Options: Here you can specify the interval and scale used on the axis. 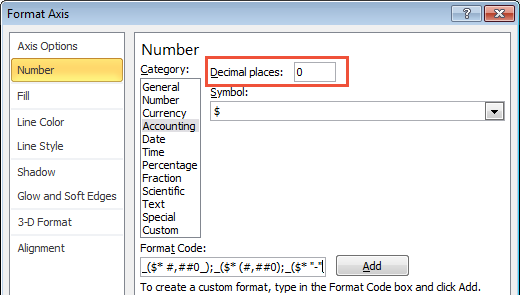 Number: Here you can define the number format. Fill: Here you can select a fill color and effects. Line Color: Here you can determine line colors for the element. Line Style: If you chose to display a line, you can select a style for it here. Shadow: If you defined a line or frame around the element, you can specify a shadow effect for it here. Glow and Soft Edges: If you defined a line or frame around the element, you can specify glow efffects for it here. You can also decide to display such lines with soft edges. 3-D Format: If you defined a frame around the element, you will find 3-D Format templates here. Alignment: Here you can change the element’s text alignment. To apply all your settings and close the dialog box, click Close. Instead of using the selection list in the Current Selection group to select a chart element, you can also select it just by clicking directly on it. A right-click on the selected element will produce a selection list in which a Format command appears. If clicked, the same Format dialog box as described above will appear.